Skydiving – experience the rush of flying through the air at 120mph, all year round at locations across the UK. Pancake Race – this iconic Reading event is held every Shrove Tuesday in Broad Street when local teams batter it out to win this eggstraordinary event. In 2020, it will be held on Tuesday 25 February. 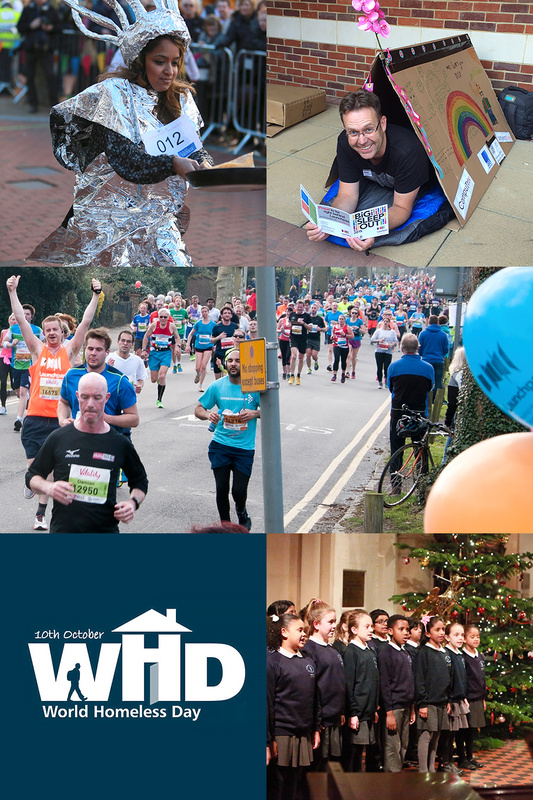 Run for Launchpad – we are the official charity partner of the 2019 Green Park Royal Berkshire 10K and we have a team running in the Reading Half Marathon, with free places up for grabs. Big Sleep Out – this year it is being held on World Homeless Day – 10 October. Join hundreds of people to sleep outdoors for one night to raise awareness of the issue of homelessness. Carols by Candlelight – our annual carol service at Reading Minster is a much-loved event that marks the start of the festive season. In 2020, the event will be held on Thursday 5 December 2019 at Reading Minster. Get involved with our fundraising events or run your own. We love to hear suggestions for fundraising events from individuals, local businesses and other organisations, so please get in touch to get your idea underway! Email Sophie and Jason fundraising@launchpadreading.org.uk or telephone 0118 929 1146.